Longdean School has a long and feted list of successful alumni and current students, whose many achievements outside of school life are celebrated below. Jess Stretton has smashed her own world record at the third Fazza International Para Archery Competition in Dubai. Jess, current year 12 student, had set the previous record of 649 points at the same event last year and shot 656 to beat her own record on 27 January. “I'm so pleased with my world record today. All my hard work has been put into practice and I’ve got the result I wanted”, she said. Top seed Jess will now go onto a gold medal showdown with Finland's Jean Pierre Antonios after beating W1 teammate John in the semi-finals on 28 January. Read full coverage of the event on the Archery GB and World Archery websites. UPDATE Jess cruised to a seven-point victory over Finland's Jean Pierre Antonios to claim the W1 crown and add another gold medal to her collection! Read about the final results on Archery GB's website here. At the end of the year it was announced that two Longdean students - one current, one former - have been honoured in the New Year's Honours list. Current year 12 student Jess Stretton has been honoured with an OBE for services to archery following her Gold medal win at the Paralympics in Rio during Summer 2016, whilst ex-Longdean student Max Whitlock has been awarded an MBE for services to gymnastics following his double gold performance at the Olympic Games in Rio. Our congratulations to both of them, for rounding off what has been a memorable year of personal achievement in such a spectacular way. Congratulations to former Longdean pupils Matt Williams and Justin Yates for picking up an award for 'Young Entrepreneur of the Year 2016' at the Hertfordshire Business Awards this month. Matt and Justin set up their company JamVans in 2010 after leaving Longdean sixth form, and have gone from strength to strength since. As well as returning to the school to give careers advice on running your own business to current students, the duo have also taken part in the BBC DIY SOS programme, helping to relocate a display from the Chelsea Flower Show to Great Ormond Street Hospital. The full list of Hertfordshire Business Award winners can be found here. To view JamVans' website please click here. This month has seen former pupil Fehinti Balogun tread the boards at the Old Vic in a production of William Shakespeare’s King Lear. Fehinti, who left Longdean in 2013, only graduated from RADA this year and was chosen for a part in the ensemble as well as an understudy role. He is performing until early December alongside seasoned actors Glenda Jackson, Celia Imrie, Rhys Ifans, Jane Horrocks and Karl Johnson to name but a few. Fehinti is pictured far right with a fellow actor in rehearsals. Performance reviews and a full cast can be viewed on the Old Vic website here. Congratulations to Jess Stretton whose achievements have earned her a place in the top ten shortlist for BBC Young Sports Personality of the Year 2016. Along with 9 other teenagers, Jess has the chance to follow in the footsteps of past winners Ellie Simmonds, Wayne Rooney, Amber Hill, Tom Daley and Andy Murray. The top three, chosen by an expert panel, will be named on Blue Peter on Thursday, 8 December. For a full list of the nominees click here to go to the BBC website. Congratulations to Longdean sixth form student Jess Stretton on her gold medal win at the Rio Paralympics in the women's W1 archery event. Arriving at the Paralympics, she was the reigning world number one and ranking round world record holder in her division, as well as the youngest archer on the qualification field. You can read more about Jess' Paralympic success on the local Gazette's online news website, and also the Paralympics organisation's own website, as well as the Dacorum Sports Network website. To view exciting footage of the archery team's performance on day 10 of the Paralympic Games, including the moment when Jess won gold for Great Britain, click here. Congratulations to Max Whitlock, former Longdean student, on his double gold medal and team performance in Rio. Max recently gave an interview to the Hemel Gazette in which he pays tribute to 'amazing' Longdean School. “They (the school) were amazing,” said Whitlock, who now lives in Essex. “They let me leave lessons to train and it was the support of the teachers and the support of my friends which helped me. Maybe my friends were a bit jealous that I got to leave early but they love watching the competitions and they knew that was what I needed to do.” Read the full article here, and for further information on Max's Rio success visit the BBC website via the links here & here, and the @longdeanPE twitter feed here. Congratulations to Jess Stretton, current Year 11 student, for her recent selection to represent Team GB at the Rio 2016 Paralympics later this year. Jess will live her dream by competing in the Archery event against other nations in the prestigious sporting event hosted in Rio de Janeiro from September 7. Jess said “it all feels a bit surreal. On Friday I was sat in an exam hall taking a GCSE science exam in biology and on the Saturday I was in Czech Republic competing at a world ranking competition. Then I came back with a gold medal to find out I had been selected for Paralympics GB on the Monday.” Headteacher Mr Cunningham says "we are delighted for Jess. This achievement is testament to the hard work she has put in.......she's done all of this while studying her GCSEs". Read more in the Gazette's online article here. Bradley Nolan, current Year 8 student, has taken fifth place overall out of 80 competitors at the MX British Master Kids competition in Suffolk. As a result of his impressive display, Brad has now gained entry into the PRO British Master Kids in Norfolk in October 2016. Brad’s mum Jo Nolan said: “We are so chuffed, his hard work has definitely paid off! A big thank you to everyone who believes in and supports Brad, including Mr Cunningham and his sports teachers at Longdean School". To read the online Gazette report, click here. Congratulations to Year 11 student, Jamie Barker on winning the Hertfordshire County Golf Mid-Handicap Golf Tournament. The event took place on 26 April on the challenging Old Course at Essendon Country Club. Despite having sun, rain and snow at one point Jamie managed to play his way to 42 stableford points to secure 1st place. Jamie will now go on to represent the Herts County team to play against Beds and Essex in July. There were also strong performances from Jake Whitby (Yr7) and Josh Price (Yr9), finishing 19th and 31st respectively. In a media interview following the event Jamie said “I am pleased with what we have achieved as a team today and just hope we can turn this type of form into a performance for the Longdean Open in June. For many school golfers, the Open is the pinnacle of the summer season”. Jade Doran, current year 13 student, achieved two bronze medals at the Tae Kwon Do European Championships in Greece. Jade's bronze success was achieved in her Black Belt sparring category and also in the Female Team Patterns event. Keep up to date with Jade's achievements on the UK Tae Kwon Do Dojangs website. Jessica Stretton, current year 11 student, continues to build her sporting profile at the European Para-Archery Championship in France representing her country in the W1 competition class. Jess secured silver in her individual event, losing out to more experienced fellow team-mate Jo Frith, and Team GB finished 2nd overall in the competition. Full coverage of the event can be read on the BBC disability sport news website, as well as the Rio Paralympics website, and local news coverage of Jess's achievement can be read here. Sheyi Ojo (Longdean pupil 2008 - 2011) continues his successful career with Liverpool FC, in his Premier League debut. The game saw him execute a brilliant assist for fellow player Daniel Sturridge to score against Stoke in the 32nd minute. After his debut Ojo tweeted "crazyday..proud to make my first start for @LFC & assist the big bro @DanielSturridge, still got a lot to learn". Read the Sky Sports news report of the event here. Current gymnastics world champion Max Whitlock (Longdean pupil 2004 - 2009) takes Gold at the British Gymnastics Championships, narrowly beating fellow British gymnast Louis Smith in his favourite pommel event by 0.225 points. A full report of the event can be seen on the BBC news website. Current year 11 student Rachel Hartley represented Longdean in the finals of the ‘Young Chef of the Year’ competition held at Oaklands College, St Albans. She faced tough competition from over 20 other students who came from a number of schools across Hertfordshire. All the competitors rose to the challenge and prepared a variety of starters, main courses and desserts to an extremely high standard. Despite the busy atmosphere and new environment, Rachel kept her nerve and worked calmly and confidently to produce her delicious Zesty Bakewell Tart with Fresh Egg Custard which was well received by the judges. Jessica Stretton, year 11 student, continues her sporting success by setting a new world record before claiming silver in a combined final for women and men at the Fazza International Para Archery Championship in Dubai. Jessica broke the women's record after scoring a total of 649 points during the qualification stages of the W1 open compound event - a 72-arrow round at 50 metres. "I just shot my best but did not expect to break the world record," said Jessica. She then went on to claim silver when she faced Czech opponent David Drahoninsky, who had set the men's world record during the qualification stages, in the final two. We are also proud to report that Jessica has been named SportsAid Athlete of the month - see here for full article on the SportsAid website. Brad Nolan, Motocross daredevil and current Year 8 student, has completed the 2015 motocross season with a very impressive set of results, as his hard work and dedication continues to pay dividends on the track. Brad's mum Jo Nolan says "Brad always seems to amaze us, and his passion for the sport speaks volumes......Brad would like to thank his headteacher and sports teachers at Longdean School." 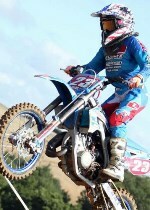 To read the Gazette newspaper's online report about Brad's achievements this season, click here. 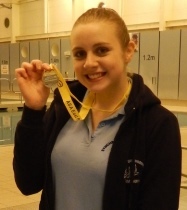 Emma Chapman, current Year 10 student, has struck gold at the Essex County and East Region Synchronised Swimming Championships this month. We are very proud of Emma, who took top spot on the podium for her solo skills routine in the 13+ category. Read more here. Congratulations to Max Whitlock (Longdean pupil 2004 - 2009) on becoming Britain's first ever men's world champion after taking a gold medal on the pommel horse at the World Artistic Gymnastics Championships in Glasgow. For a full report on Max's achievement read the British Gymnastics article here, and to view footage of Max's winning routine click here. Year 11 student Jessica Stretton continues her sporting achievements with an individual bronze medal at the World Para-archery Championships in Germany. An online BBC Sport article covering the event can be read here. Jessica Stretton, a current year 10 student at Longdean, continues to add to her budding reputation by claiming an individual gold medal in the Women's Compound/Recurve W1 Women event at the recent Dutch Para-Archery Tournament in Almere. In addition, Jessica picked up a team bronze in the Compound Open Women Team event. Jessica was selected by Archery GB to represent her country at the tournament after winning her first Junior Gold medal for GB last year. 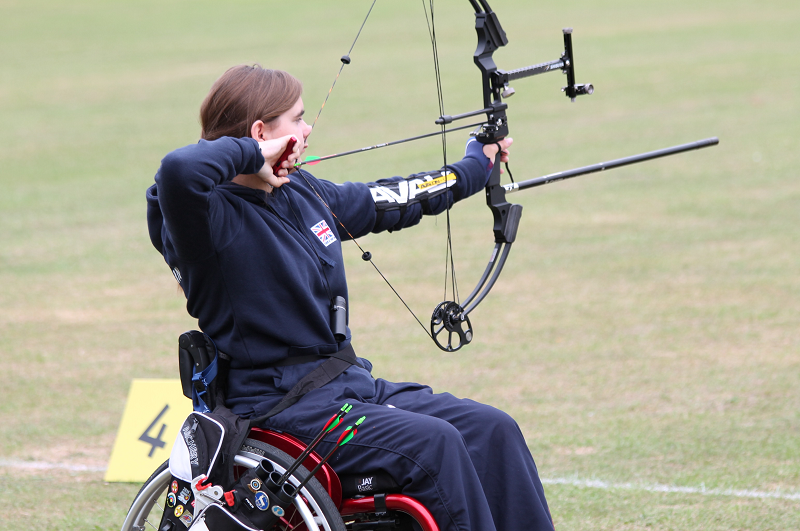 Jessica's aim is to represent GB at the Rio Paralympics in Summer 2016, and she is currently fundraising for a new bow, with the help of a group of postgraduate students from the University of Hertfordshire. Local MP Mike Penning, who met up with Jessica and one of the group members at the school recently, said "I was delighted to meet Jessica and I wish her every success and would encourage anyone who would like to support her to visit her fundraising page. I am a great sports enthusiast and it is fantastic to see Jessica's determination and commitment. She is an inspiration to many young people." A full report of the visit can be read on Mike Penning's website. If you would like to help fund Jessica in her quest to win more medals, follow this link to Jessica's GOFUNDME page.